1.1 Northeast Monsoon conditions prevailed over the ASEAN region in the second fortnight of December 2018. 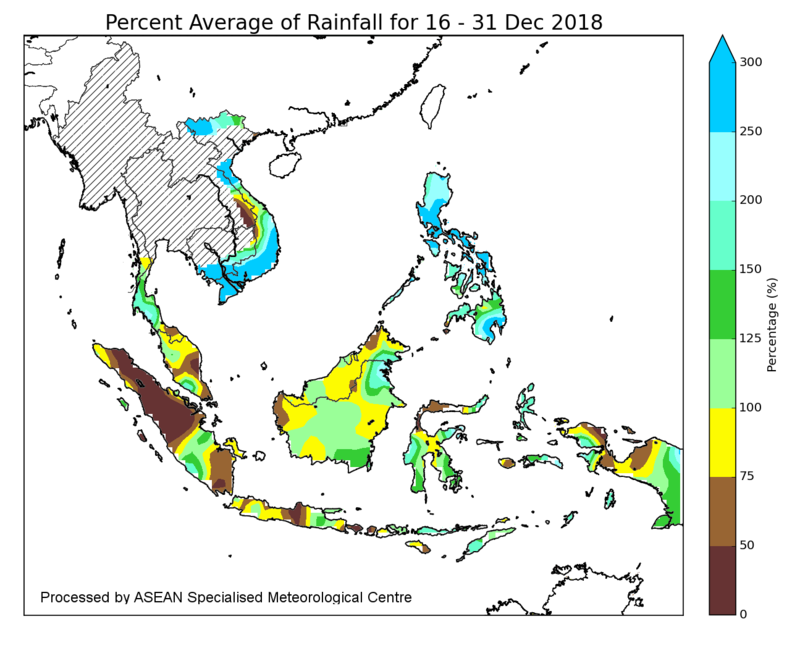 Dry weather persisted over the Mekong sub-region, and there were occasional dry periods in parts of Sumatra and Peninsular Malaysia. 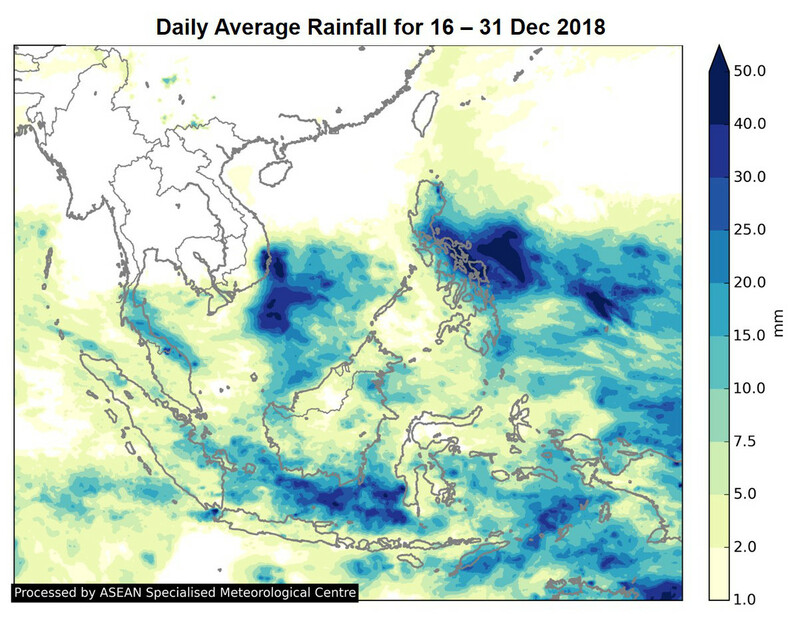 Rainfall was above-average over the Philippines, and below- to near-average in the southern ASEAN region. 1.2 The rainfall distribution and the percent of average rainfall for the second fortnight of December 2018 are shown in Figure 1 and 2. 1.3 Moderate to strong north-easterly winds prevailed over the northern ASEAN region while in the southern ASEAN region, winds were generally blowing from the west or north-west. 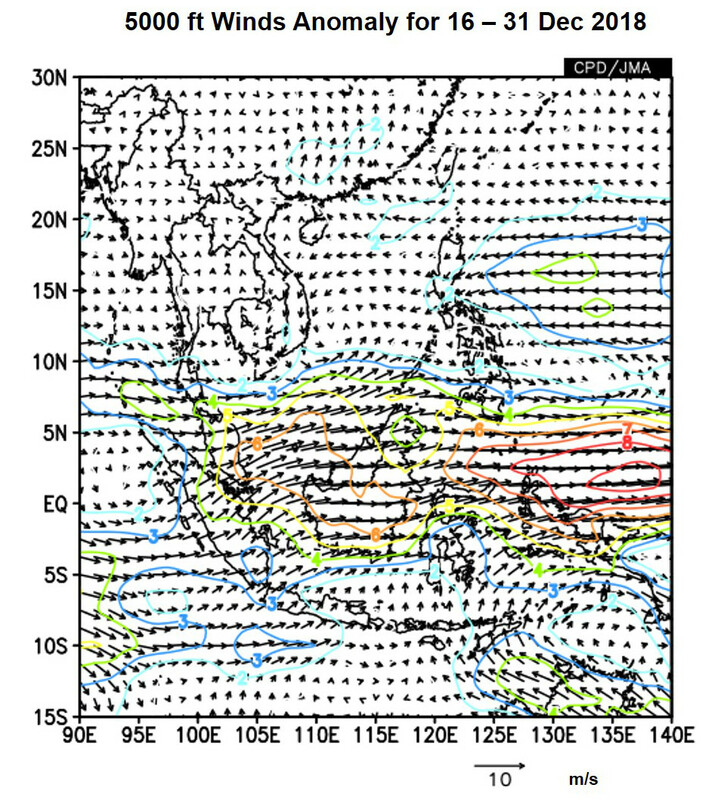 During the period, there were westerly wind anomalies over the equatorial ASEAN region. 1.4 The tropical Pacific Ocean’s sea surface temperature (SST) anomalies over the Nino3.4 region continue to be above El Niño threshold. However, most of the atmospheric indicators of El Niño/La Niña over the tropical Pacific remained neutral. Without the atmosphere-ocean coupling, El Niño has yet to be fully establish. 1.5 There were moderate to strong Madden Julian Oscillation (MJO) signals, which propagated through Phase 4 – 5 during the review period. 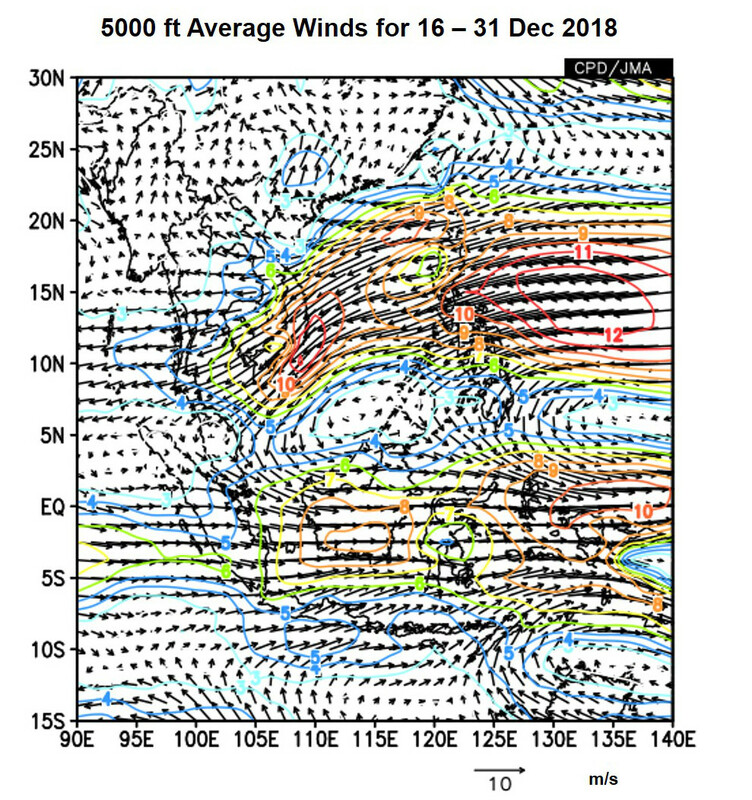 The MJO signals were consistent with the eastward shift of the rainfall pattern and the westerly wind anomalies observed in the region.